Poornaprajna Vidyapeetha Graduation and Post-Graduation Study Center was established in 1956 by Sri Vishvesha Teertha Swamiji of Pejavara Matha, Udupi. Swamiji is the Kulapati and Prof. K. T. Pandurangi is Upakulapati for the college. In 1976 Govt. Of Karnataka recognised as Sanskrit College. In 2011 it got the affiliation of Karnataka Sanskrit University. Till date around 800 scholars have passed out from this institution. There are 40 faculty members in this college. The college contains a well-equipped library which contains around 20,000 Sanskrit books, 5000 other language books and 120 old hand written books. It has two hostels with 81 rooms for students. There are two computer centres for study and project related work. There is 200×200 feet playground for sports activities. Cricket, Kabbaddi, Chess are played. 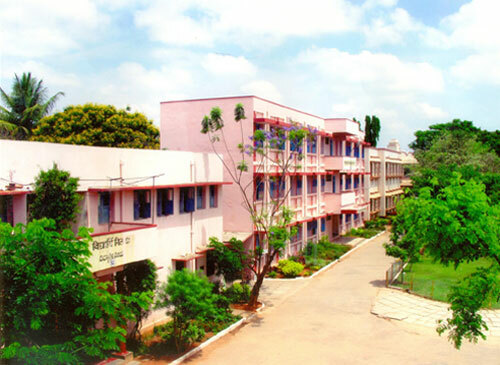 There are lot of co-curricular activities which are held in the college. Praadoshika Sabhaas are held in three categories once in 15 days. Here students talk, debate, act, sing and read Shlokas written by themselves. To carry these activities Vidyarthi Sangha is established.Another Sabhaa is held once in 15 days where scholars from different fields address students. Recently a new program called Kaavya-Shaastra-Vinoda’ has been started which is attended by lecturers. There is 200×200 feet play ground where Cricket, Kabbaddi, Chess are played. Twice in a year competitions in both sports and educational field are conducted. Every year students from this college take part in State and National level allocation and Shloka competitions. In 2012, out of twenty participants who represented Karnataka state, three were from our institution. They got two gold and one silver medal. One of the important research project undertaken in this college is Development of Sanskrit computational toolkit and Sanskrit-Hindi Machine Translation system. Department of Information Technology under its Technology Development for Indian Languages has been supporting this research project. Poornaprajna Vidyapeetha Sanskrit Collage held an exhibition in the first World Samskrit Book Fair and Jnana Ganga Exhibition, held in January 2011, based on this project and on e-library & other basic Sanskrit-Computer related issues.